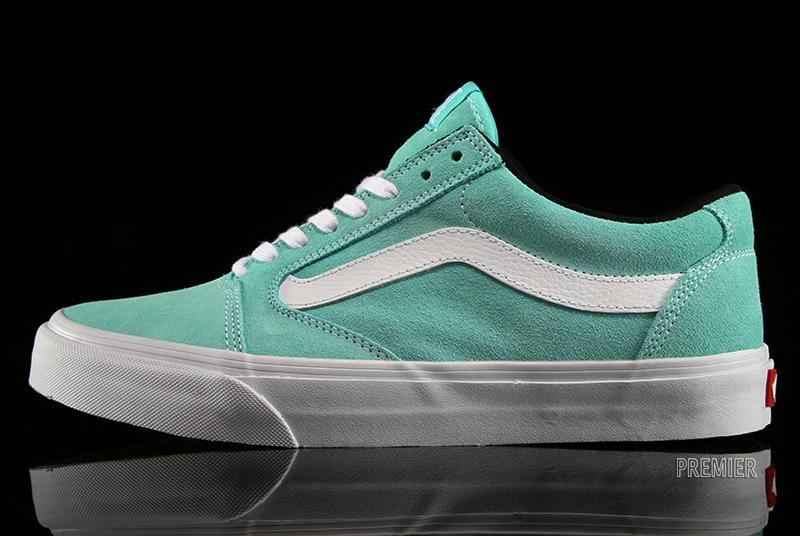 The Tony Trujillo signature skate shoe from Vans gets a clean "Seafoam" colorway. Pro skateboarder Tony Trujillo is up to his fifth signature shoe from Vans, with a simple silhouette not far from the classic Old Skool. Here we see it in a very clean 'Seafoam/White' colorway, sure to turn some heads. 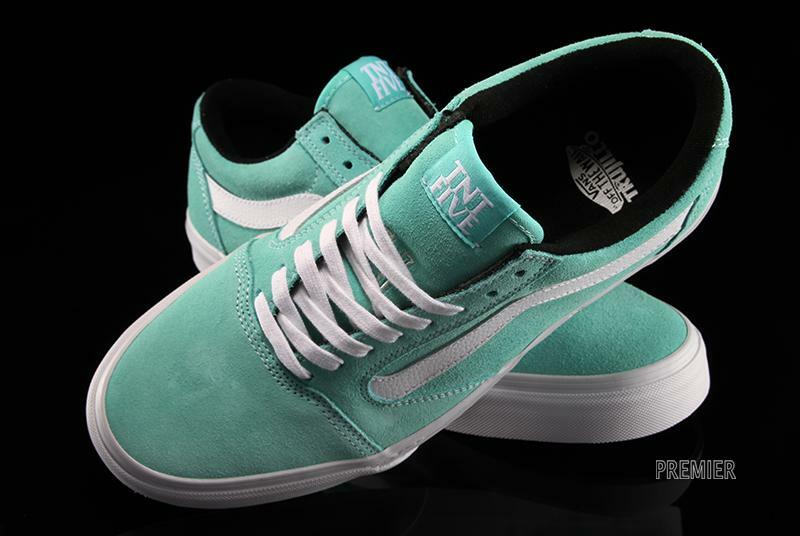 The full-suede upper in Seafoam is accented with a white Jazz Stripe and solid white midsole with contrasting red Vans tab at the heel. Look for the TNT 5 now at your local Vans skate shop, or pick them up online from Premier.